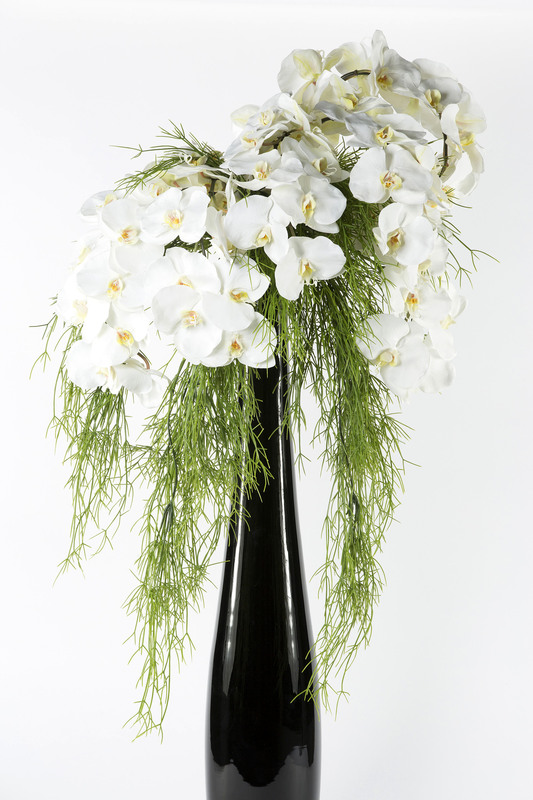 A classic black & white faux floral display with a mass of cascading phalaenopsis orchids. 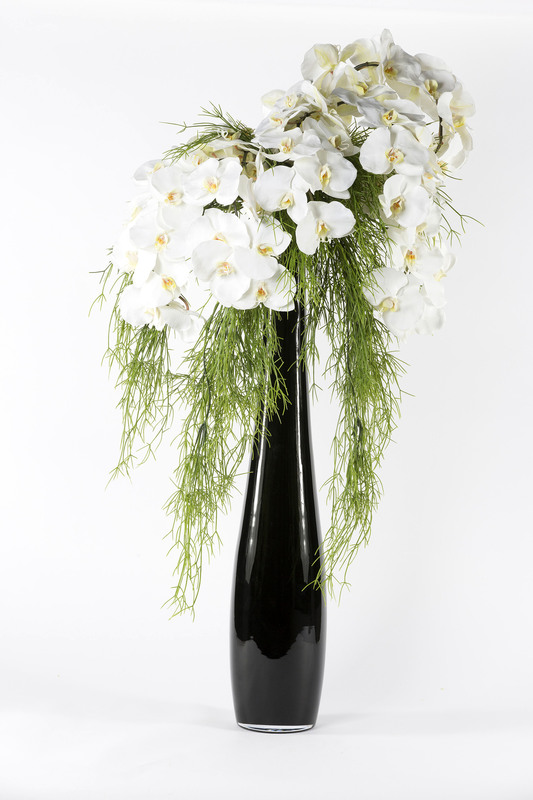 We’ve completed this stunning white large headed moth orchids against lush seaweed greenery. 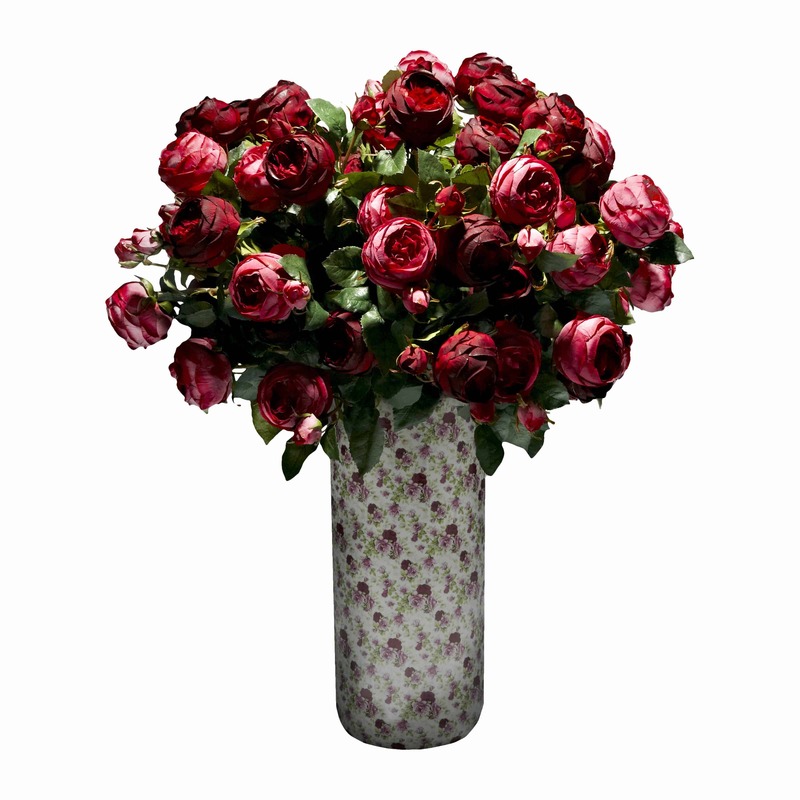 A black bottle glass vase adds a touch of sophistication. 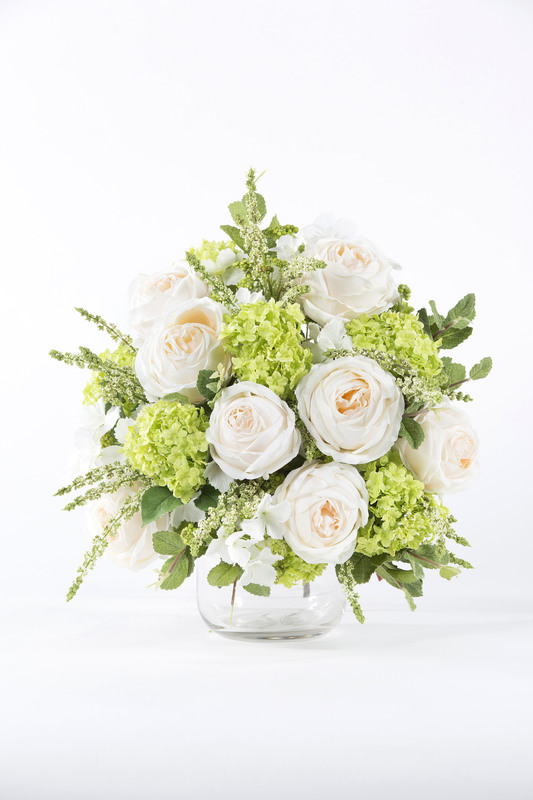 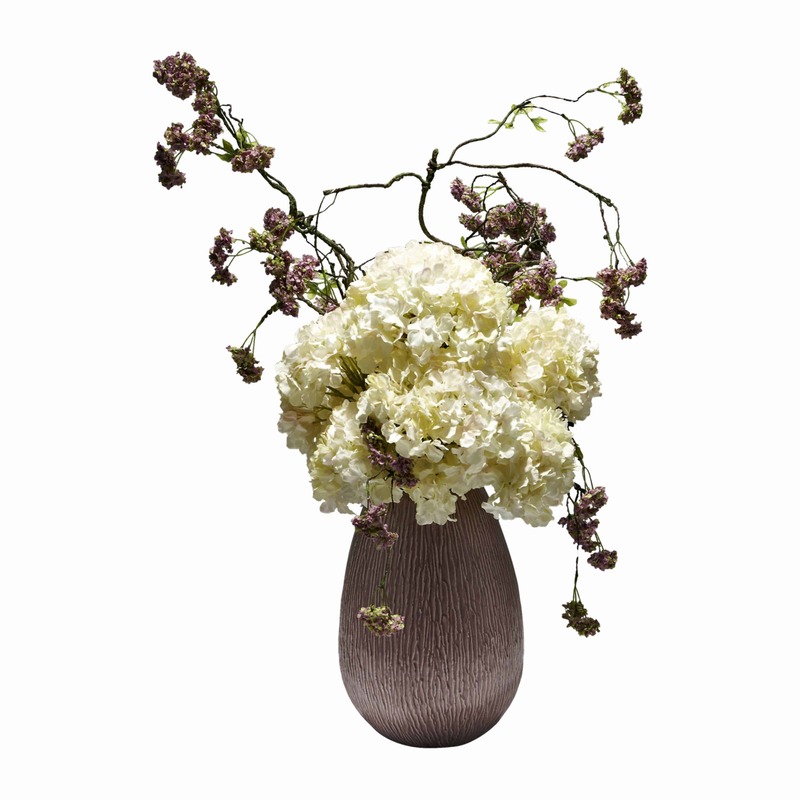 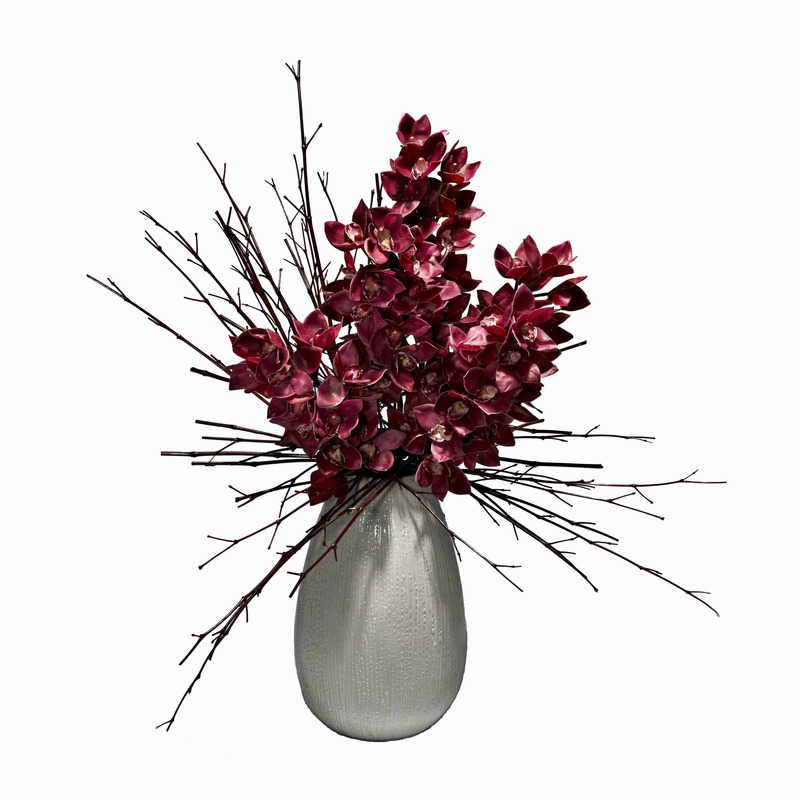 A tall showstopper arrangement that can proudly stand in a luxury home.